Jakob is now 9!! I can hardly believe that we have a nine year old. Time really does go by too quickly. We celebrated Jake's birthday for over a week! 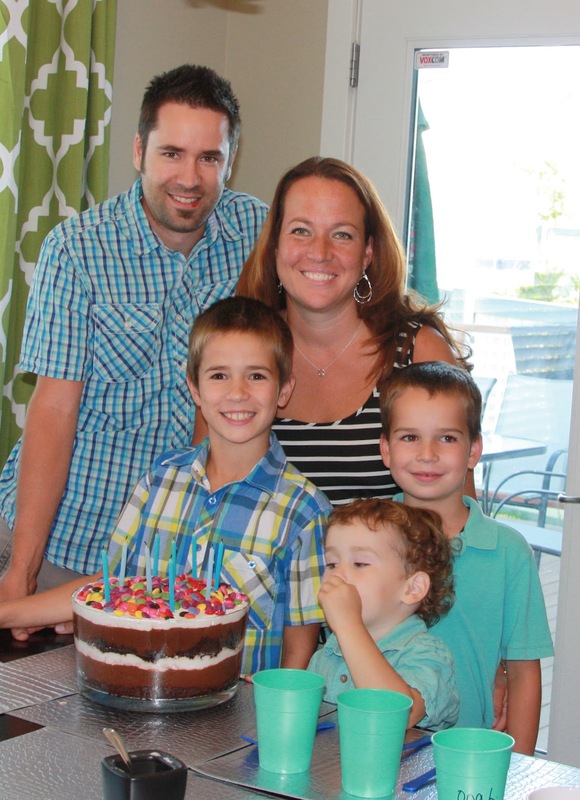 It started with his kids party, then Grandma & Grandpa arrived from Winnipeg, followed by a family party and then a little get together on his actual birthday. 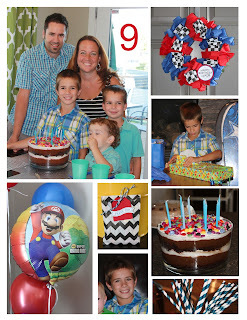 This year Jakob picked a Super Mario theme for his parties. He also requested a trifle as his birthday cake (easy for me!) 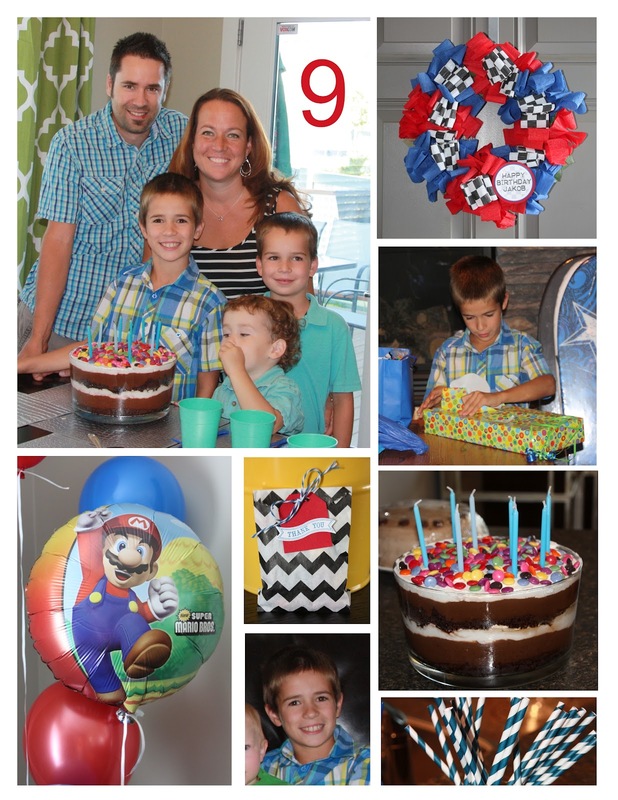 and I decorated with Mario & Mario Race car items. One of my favorite things I made for the parties was a wreath for the front door using crepe paper. It was so cute and very easy to make. I made a little label on the bottom using My Digital Studio, that said "Happy Birthday Jakob". 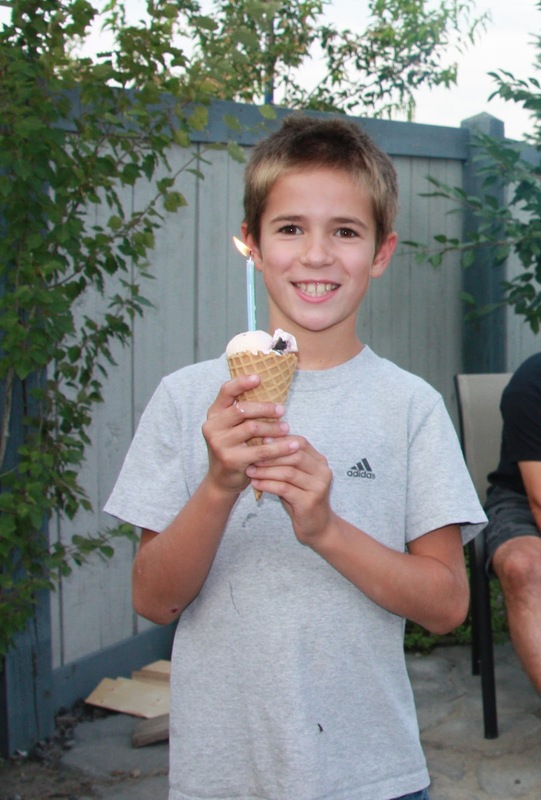 On his actual birthday Jake wanted to have a hot dog and marshmallow roast. We had a great time with Oma & Opa, Grandma & Grandpa, Uncle Jordan, Auntie Kristy & Alex! An ice cream cone with a candle was his birthday treat!